Today's the day! 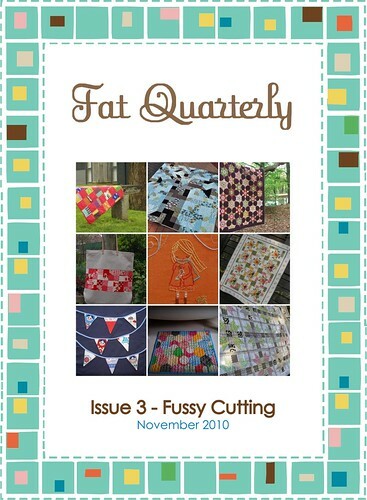 Issue 3 of Fat Quarterly is now available. This issue has a focus on fussy cutting, and I really think it's the best issue yet. Want to learn more about Fat Quarterly? We also just released our first ever newsletter, available to anyone who wants to read more. Find it here. Inspired by the changing seasons, I wanted to create a giant tree quilt with falling leaves. Rosemarie Lavin's Spa line, with it's hues of brown, blue, and green, was a perfect fit. And when I went shopping for a backing fabric, Joanna at Wish Upon a Quilt pointed me towards this Joel Dewberry print. Genius! Bethany Pease (http://www.bethanyquilts.com) amazed me again with her mad skillz. 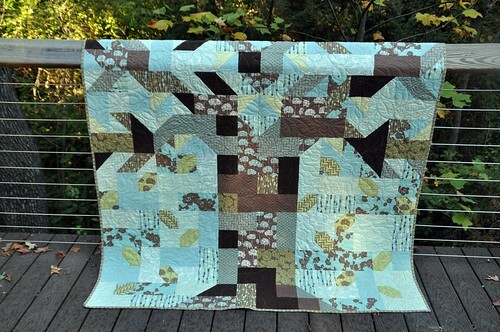 I was worried that the overall tree pattern was getting lost among the busy prints, but she masterfully added bark to the trees, stems to the leaves, and swirly winds in the sky to really bring the quilt to life. Check out this detail work. Amazing. Since I have had solids on my mind since returning from Quilt Market in Houston (thanks, Cherri! 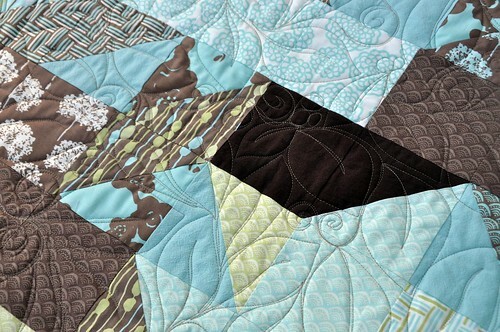 ), I can't help but imagine this quilt made from mostly solids with a few select prints mixed in. My wife also had the brilliant idea to make this as a family tree quilt, with the leaves doubling as signature blocks for family members. Wouldn't that be amazing? I'm calling this pattern "rooted", and I am very proud of it. And since it's really just made up of squares and half-square triangles (HST's), it's great for both beginners and more experienced sewists. Check it out. I can't wait to hear what you think. Oh John, this is beautiful! You did a fabulous job, this is going on my "to make" list! Thanks for calling this out, Robin! HST = half-square triangles. I've updated to post to reflect this. It's really, really nice! It makes me want to subscribe. This is great. Love the idea of the family tree! A great lesson in values! I absolutely love it, so pretty! Oh this is really lovely. beautiful. i have been dying to use my french general fabrics, and i think this design is a great one to combine the colors from a couple of the lines! Great project. I love the originality of the design, placement of fabrics and unique quilting pattern. That quilt looks amazing! And the quilting is pretty fantastic too! Love it! I love this quilt!! Fall is my favorite season, so I'm thinking I'd really like to do similar to what you did for colors, but with reds, yellows and oranges for the leaves. I'm on another page subscribing right now! The quilt is amazing! The colors are perfect and I love the stitchery. I'm a beginner, so I'm far from making anything like this, but it is just absolutely beautiful. You have some real talent!! Beautiful quilt! Being a Tarheel grad myself, I love the Carolina blue in it. How could you go wrong with that color? 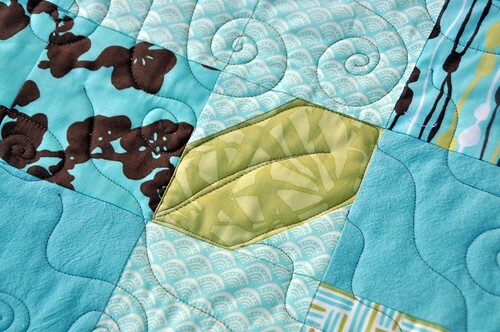 Great issue of Fat Quarterly andlove your tre quilt! I love Love LOVE this quilt, but what I love more than the fabrics and the design is the quilting. I love the wind blowing through the leaves, and that more leaves were quilted into the quilt than initially looks like from the fabrics. NICE JOB !! Beautiful Quilt! 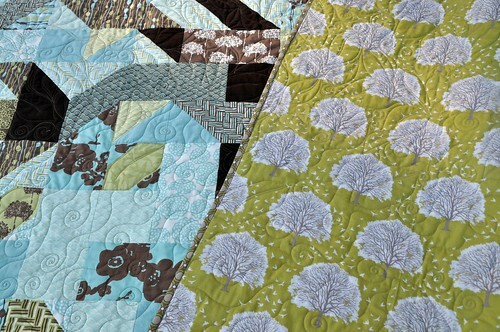 Loving the idea of making it a family tree quilt with signature blocks. Looks great! I got to meet Rosemarie at Market (in my shuttle!!) and she was so nice! I really like this quilt. I think your wife's idea of making it a family tree quilt and using the leaf blocks as signature blocks. I signed up for the news letter the other day and downloaded Issue 3 as soon as was available. Haven't had a minute to read it yet! Work has been pretty stressful this week! I really love this!! Thanks for sharing! I love the quilting on the tree quilt. Already browsed through my issue. It was a good one! This is going to be my first quilt of the new year, in parisville mist! I really can't wait! Fantastic design John. Love it! It is wonderful, John! Great job! This is really beautiful! 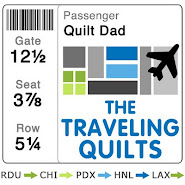 I have been looking for a quilt to make my husband. I've made Miami Dolphins quilts for my two boys (by request) and now he wants a quilt. I wanted his to have meaning and be something he would cherish forever. I think I can do the piecing, but man, what am I going to do about the quilting! She did a great job! Thanks for the idea! 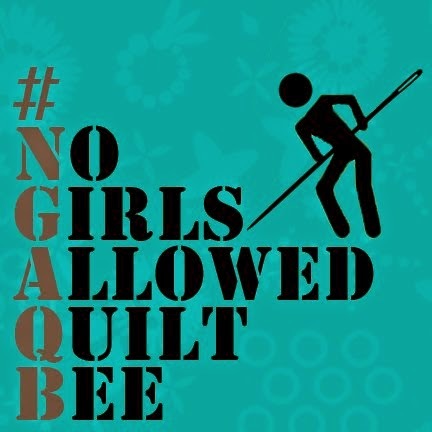 My daughter who will be married next May wants me to make this quilt for her wedding gift., Where can I find the pattern? This is such a beautiful pattern--but the link to your pattern is no longer good. Where can I find/buy this pattern? Thanks!